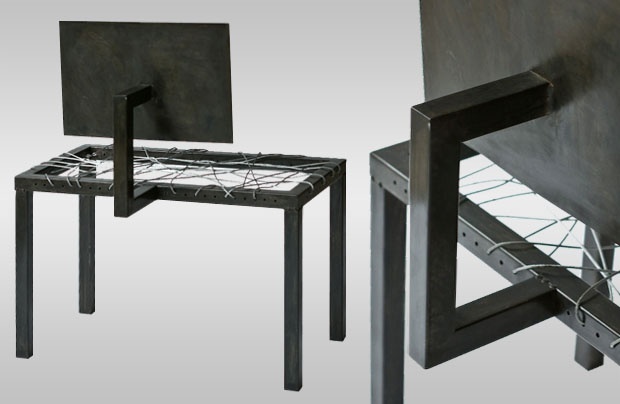 Interlaced flexible galvanized webbing on a linear frame. The cable gives to the weight of the body making it a much more comfortable chair than what it looks like. Let your spider spirit out.